Update Minecraft 1.12 and some more news! Today, Minecraft version 1.12 has been released, which added some novelties like Concrete. Of course, we are trying our very best to implement this new version as soon as possible, but until then we will have to suffice with a solution that makes it possible to join 1.11 servers with a 1.12 client. Naturally, it is very possible that bugs may occur. Hence, in case you encounter a bug, please report this to the Staff Team! I also put a new beta Skywars online today. In this one too, it is possible that bugs may occur. If this is the case, please report this to the staff members so a solution can be found. The new Skywars is an updated version of the old 2015 Skywars. Therefore, this Skywars utilises the old PvP system in a so far decently working Skywars minigame. If you encounter problems somewhere, please report this to a member of staff. We will then make sure these are solved as quickly as possible. Update: We have decided to support on all our gamemodes version 1.8 till 1.12, except KitPvP that one supports 1.9-1.12. Due to some problems with the Faction server it is currently offline, we will announce later this week what happened exactly. All of our plugins are gone, so we have to put a backup into it from before the reset, we'll do that later today. Things that are gone: Everything else, like Homes, Warps, etc. If you're unsure about what's lost or not you can always ask. It will probably be back online this weekend. Update Factions got a reset! Since Factions wasn't a well played gamemode anymore we have decided to try and fix it. We've got some feedback from our players and decided to follow those things and implemented those in the factions server to become it better a gamemode. People can open chests everywhere, you can still protect them by putting a block above it or something like that, be creative. With those changes we hope Factions will become a well played gamemode again, and that people will like it more than the way it was. Factions is now back online! We have had a great Easter and forgot about an Easter sale, so here it is! We're sorry to tell you all, but we are unable to release Prison in the state it is right now. A fatal error in our core setup of Prison has been found, and we are unable to solve this in a few hours. We were already working on it the whole day, but we just now managed to find out what the issue was. We are not sure yet about how to fix it, but we promise that we will. Because we are not sure how to fix it, we don't want to make plans for a definitive release right now, since we also don't know how long it will take to fix this issue. We are sorry about the delay (once again), but we will keep you guys updated on our progress and when we will release Prison. For everyone who was hyped just as much as we were, we are deeply sorry for letting you down, but what will come will be worth the wait. Just like a baker would say: you don't want to sell an unfinished piece of bread, you want to sell a perfectly baked bread so that people would recognize your strength and skill. In other words: we don't want to deliver something that would die in itself because it doesn't work, we want to make sure that our quality is above quantity. Prison is almost there! We have been working on it for the last few months. This Prison will be different from the old Prison, the spawn and mines are completely new! However, the way you used to play Prison will stay the same. 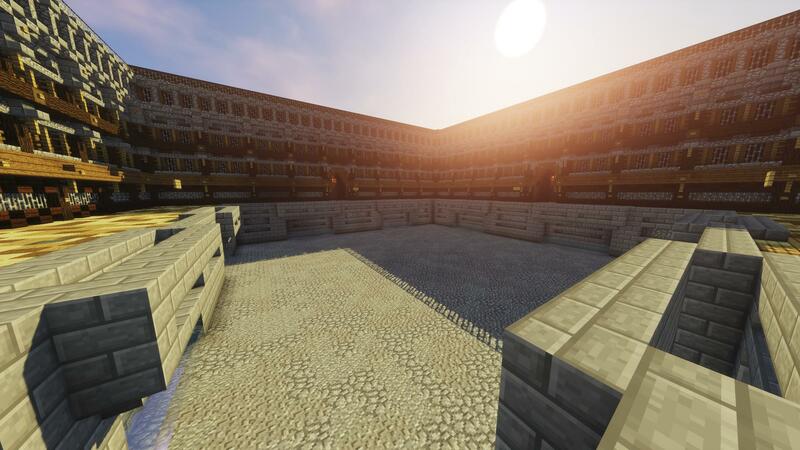 Prison is a gamemode in Minecraft where you start at mine A. From mine A you need to rank up to Z by mining and selling blocks. When you reached Z, you can prestige. Prestige means you can show to people how far you already are in Prison. When you prestige, you will be set back to mine A BUT you will have prestige "1". In total you can prestige 10 times. You can buy eTokens (enchantment tokens) from shops or get them by voting. With those tokens you can buy cool enchants! ETokens are worth alot so be careful! You can also buy a plot in the plotworld where you can build your own buildings from blocks you mined or blocks you bought from the shop. What will be new in Prison? - The mines have changed. The blocks are the same but the percentages will be different to you. Because of that, we changed the prices of the rankups. You will need to mine more until you can rankup. have to search for anything! News VintagePvP has been released! 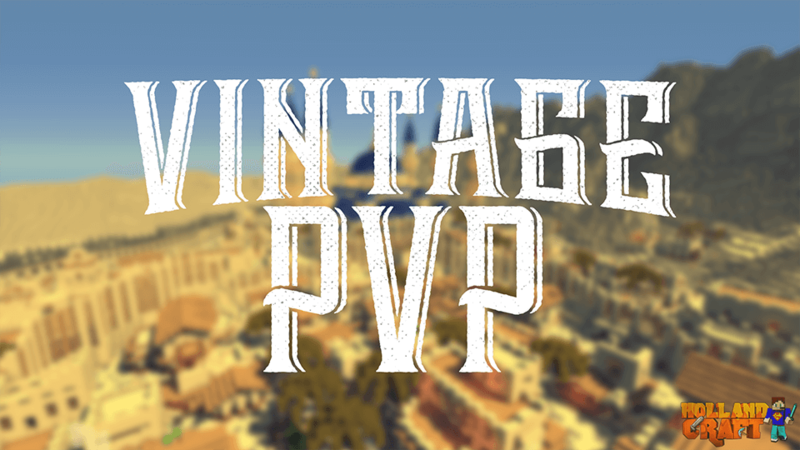 At precisely 14:03 VintagePvP was released, you can access it through a portal in one of our lobbies, using the "/server" menu, or directly with the command "/vintagepvp". If there are any questions about VintagePvP feel free to ask. Michel & the Staff team. Do you remember that old KitPvP map, a very loved map with a spawn in the middle of it, and somewhere in the map a Hollandcraft Pub? You were able to create the kits yourself, you could buy items to improve your kit and create your very own kit and many more features, including the 1.8 PvP combat? This KitPvP was very loved by a group of people among us, and we wanted to return a favor for our players, so we decided last months to work on this, to bring this gamemode and map back to its old glory, but also with all the new tech of Hollandcraft that everyone is used to! But we already had an gamemode that's called KitPvP, and therefore conflict with each other. That is why we looked for a good name, but then Luuk came with the idea to name this gamemode to its core: PvP in a retro/vintage style. That's why we decided to call this unique gamemode VintagePvP! We have transferred a lot of our already known features to VintagePvP, including the Bounty system, CombatLog, Scoreboard, Leaderboards, Interactive Chat and Stats, but we also kept the look and feel of the old VintagePvP by changing almost nothing to the map. We also kept the Hollandcraft Pub, but we changed a few things there, like a whole new control panel for all doors! We have updated Hollandcraft to Minecraft version 1.11.2! Keep in mind that bugs can occur with this update. Skyblock has not been updated yet, this will happen at a later stage, more info on that might follow later. Last but not least, we will also release a post soon about our ideas for 2017. If there are any questions, feel free to ask them.